Over the last weekend of January, my wife and I traveled to Denver as Total Motorcycle Media for the Colorado Motorcycle Expo. 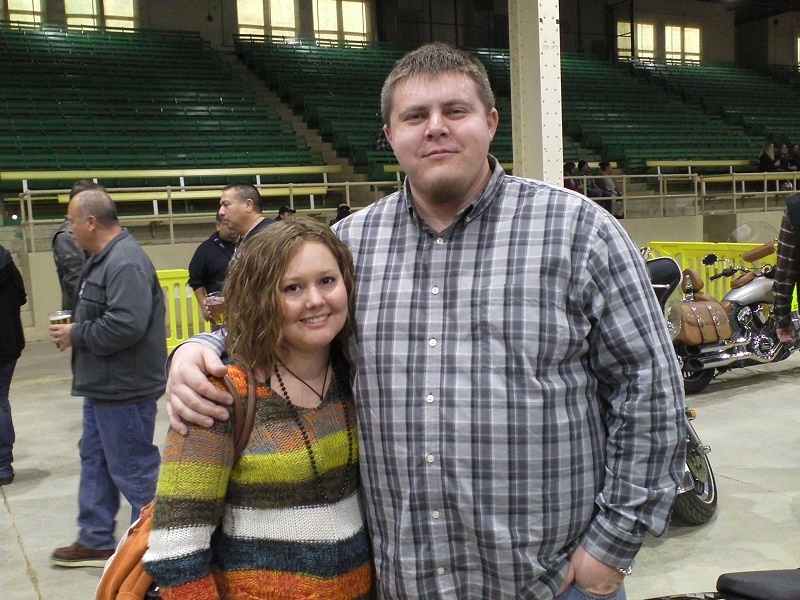 The event was held in the National Western Complex and lasted 2 days, and we had a great time. We also had the opportunity to meet up with WRIDER from Total Motorcycle forums. He and his lovely girlfriend showed us around Colorado, and provided some local viewpoints on the show. and despite all the different types of people the vibe was friendly, casual, and upbeat. 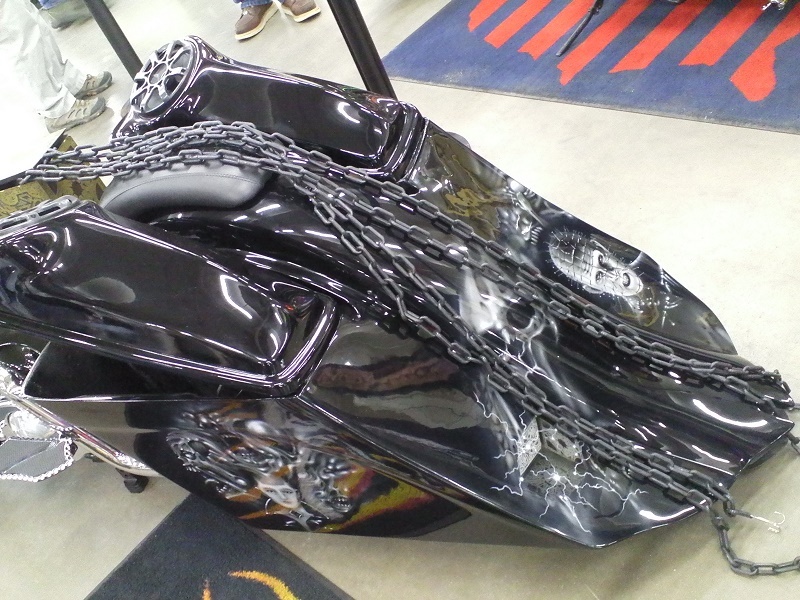 The first thing to know about the Colorado Motorcycle Expo is that the event is in a state of transition. 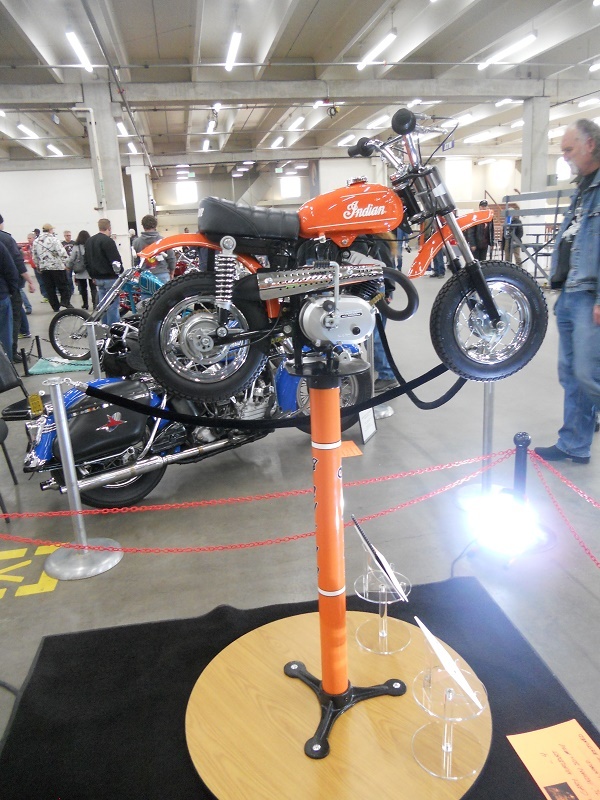 In previous years it was called The Colorado Motorcycle Show and Swap-Meet, and there are bound to be growing pains. 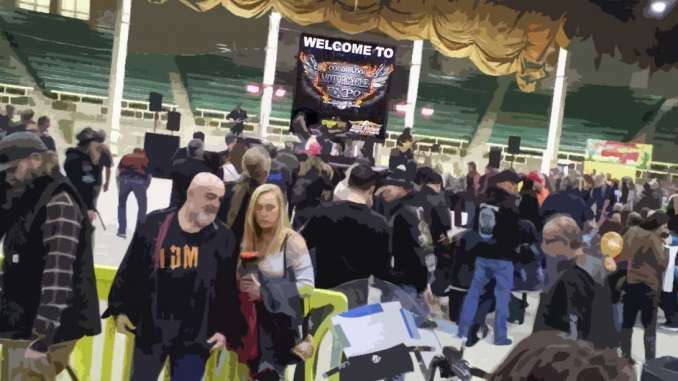 Also, some controversy with the motorcycling communities throughout Colorado meant that several local organizations and businesses boycotted the event. One of the critical scheduled events was canceled, as well as several other activities or attractions advertised. 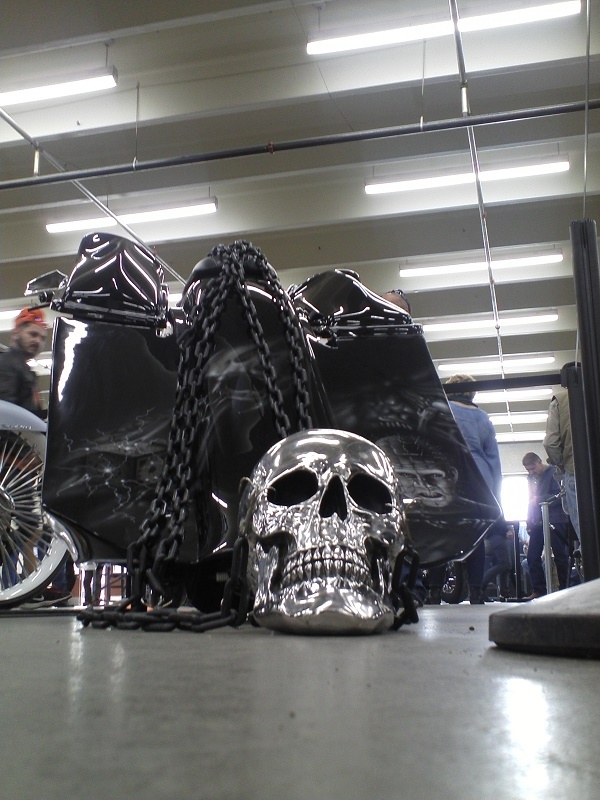 In the end, the event was still very much a swap meet and bike show rather than an exposition. Despite this, there was plenty to do and see. 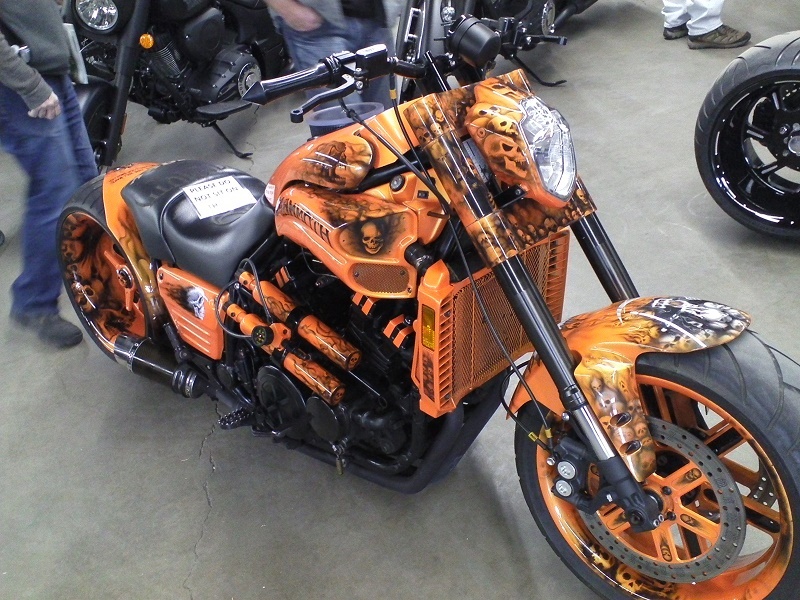 The bike show portion of the event showcased dozens of stunning entries, primarily American big-twins but not exclusively. Triumph, Ducati and Honda entries graced the showroom floor, and everything in between as well. 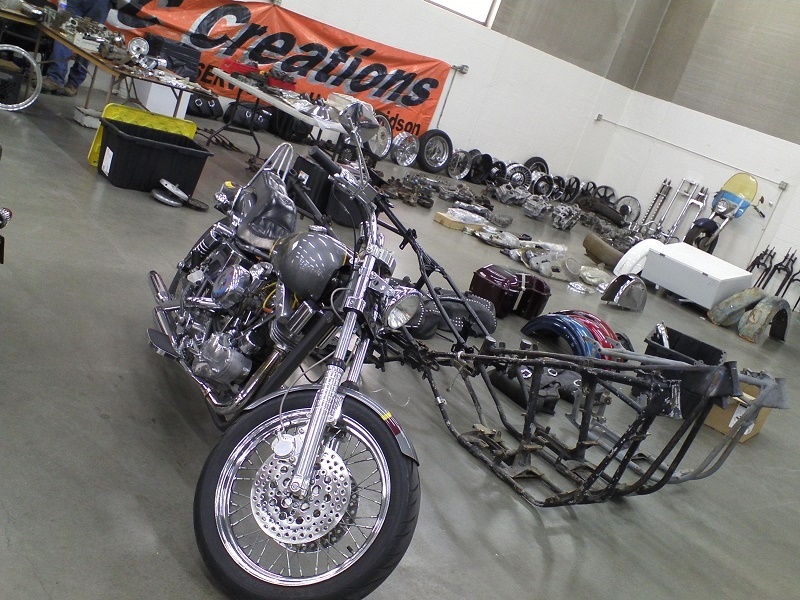 Stripped down choppers, wildly customized baggers, and faithfully correct restorations were all on display. 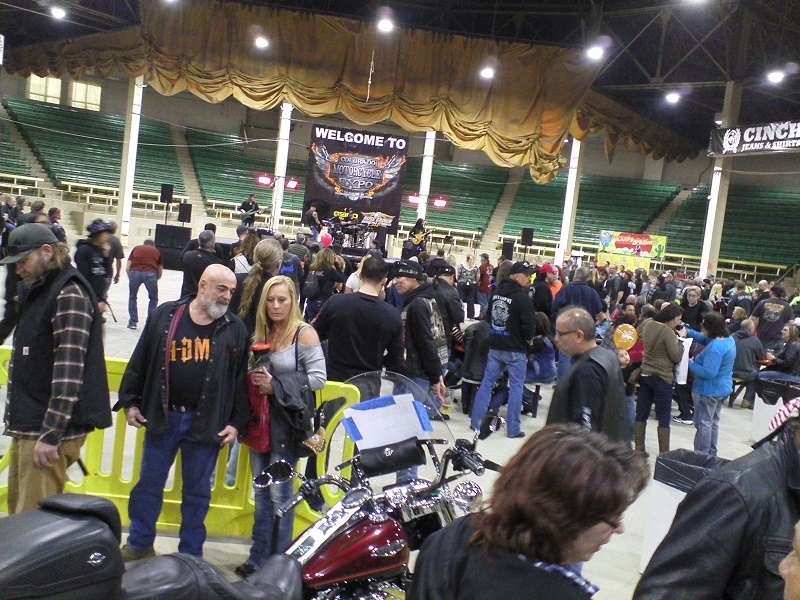 Besides the bike show, other attractions not retail-oriented were a live band and a wet tee-shirt contest, typical fare for any motorcycle event. 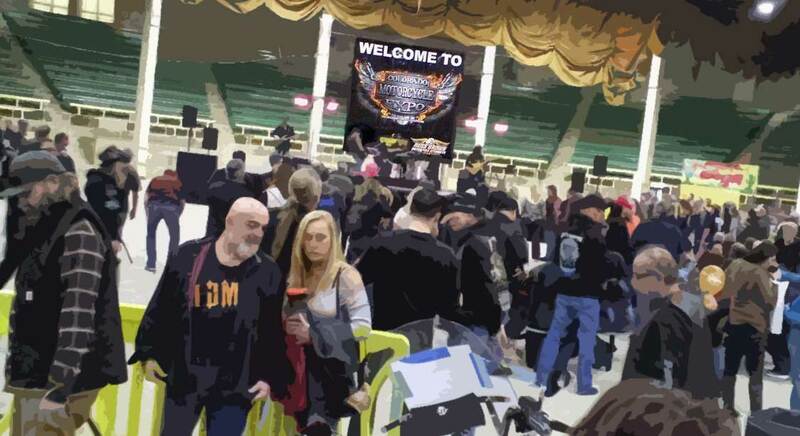 The band, local group Guild of Ages, was talented and lively, but the organizers set up the stage in the same space as the used bike show and it detracted from their performance immensely. We can’t speak for the wet tee-shirt contest, as we didn’t stay to watch. Hundreds of vendors set up throughout the complex were selling a vast array of clothing and accessories. These were exactly the sort you would expect to find, everything from properly armored leather and textiles to fashionable tank-tops, denims, purses, wallets, and whatever else you might need to outfit yourself for any sort of motorcycle-adjacent activities. The only class of item we failed to find was full race suits in either leather or textile. If you’re tired of browsing dozens of websites or receiving your purchases only to find they don’t fit as advertised, this is an excellent event to attend. At the Colorado Motorcycle Expo you could try on hundreds of jackets, chaps, boots and gloves and buy exactly what you want on the spot, and it will likely be a lot more unique than what everyone else is outfitted with. There were also half a dozen patch vendors selling literally thousands of embroidered patches. On-site sewing was available for a few dollars more. What we didn’t see a lot of was tech accessories like communication devices or heated gear. I scoured the entire floor for an acceptable cell phone mount and couldn’t find anything worth spending money on. I did pick up an impressive leg bag from one of the vendors. 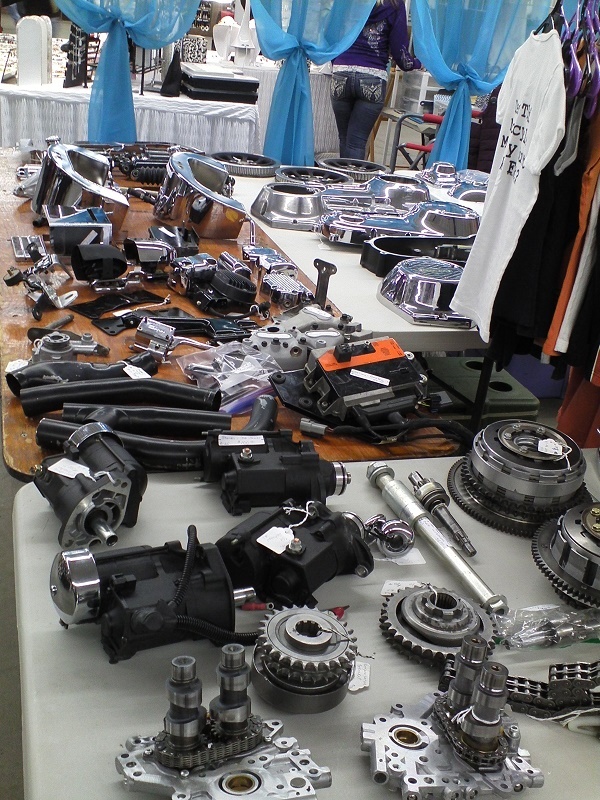 Where the Colorado Motorcycle Expo really shined was in the vast array of parts for sale. 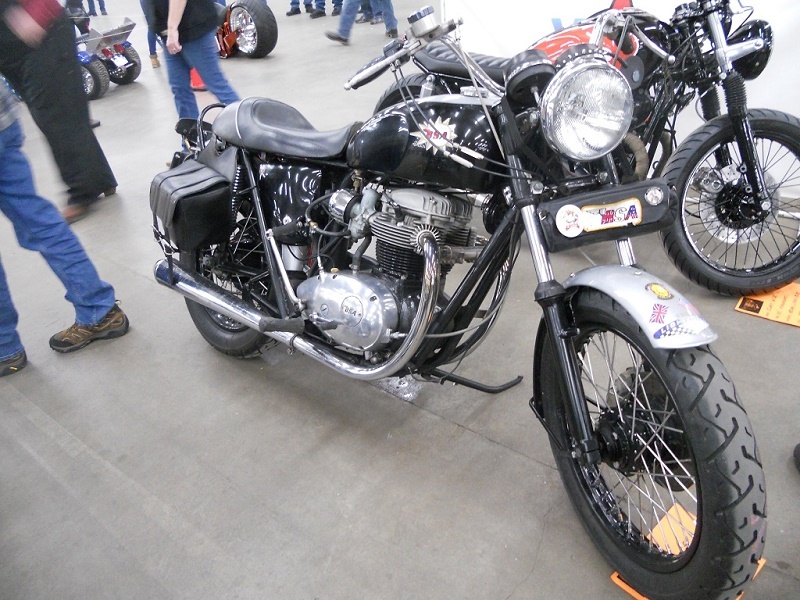 If you’ve got a full restoration project in your garage or you ride a bike that’s hard to find parts for, the CME is one event you’ll want to attend. Everywhere we went there were bins full of piston heads and clutch plates, tables laden with fenders and fuel tanks, sheets weighed down with brake calipers and fork legs and exhaust pipes. 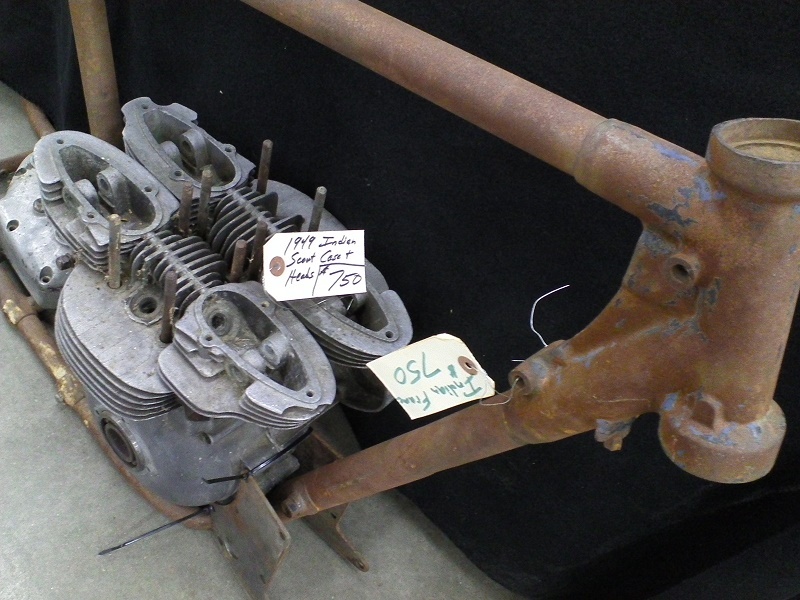 Larger components such as swing arms and complete frames were available at several vendors. 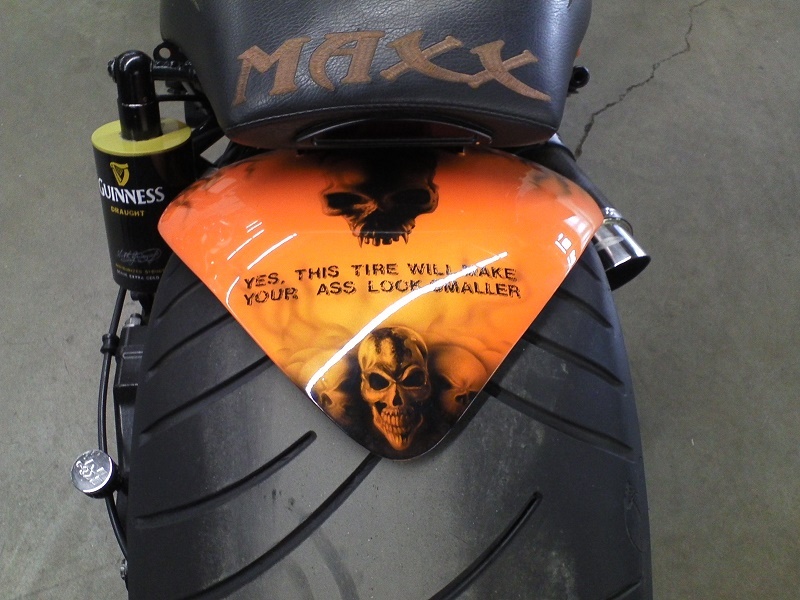 We even saw a few complete front ends with windshields leaning against a wall like freakish unicycles. If you’re curious why they hold this event in January rather than, say, May, this is why. Lots of vans and trailers in the parking lot at this show. The last and most important feature of the Expo was the diversity of the community. We saw people from all different walks of life. Young kids in skinny jeans, old grizzled bikers in full leather, suit-and-tie businessmen in pinstripes. There were also lots of families with young children present, and despite all the different types of people the vibe was friendly, casual, and upbeat. It was a pleasant thing to be part of. Our final impression of the Colorado Motorcycle Expo is that it was a fun and diverse event, but almost exclusively a retail experience. It’s absolutely the place you want to be if you’re doing restorations or otherwise looking for hard to find parts, or hoping to outfit yourself for the season all at once. In the future though, we hope the CME will be able to field a wider array of attractions for attendees. Manufacturer exhibits, guest speakers, new model unveils and the like would all be welcome additions. If those are more what you’re looking for, you might want to consider a different destination.